Savannah, Georgia emcee Killah Qua burst onto the scene last week for a memorable verse on fellow Savannah native Clay James’ “Put Dat On Da Law” single. Although that was the first time a lot of us heard of Killah Qua, he’s been grinding in the Savannah underground rap scene for quite some time. He’s a lyrical standout in his hometown as well as the state of Georgia. His raw, passionate, & southern draw on words gives you the vibe of the late great Soulja Slim. But even in his comparison to legends of southern rap, we still have to respect Qua for having his own unique style, rhyme scheme, & authenticity. Savannah is putting out a lot of good music and artists as of late and Killah Qua definitely deserves his name to be mentioned in the city’s vast array of blossoming talent. 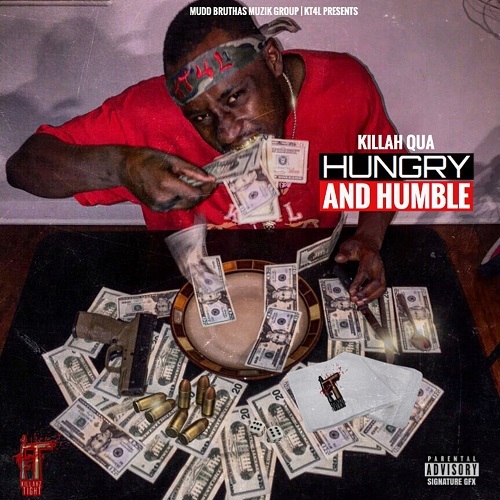 The best part about Killah Qua is through all the new fame and recognition he still manages to remain “Hungry And Humble”. Grab his project on all digital streaming platforms, distributed by EMPIRE.